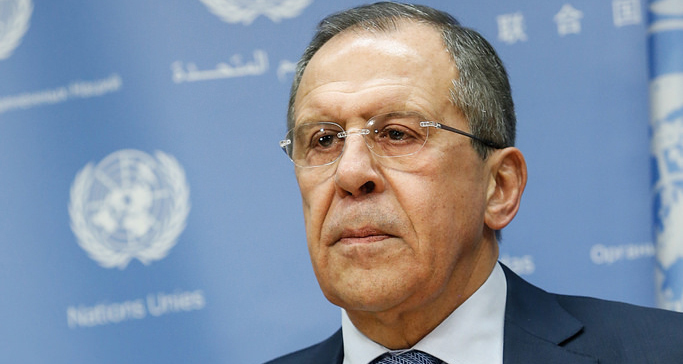 Russian Foreign Minister Sergei Lavrov and UN Secretary General Ban Ki-moon, discussed issues concerning the settlement of the crises in Ukraine and Syria over the phone on Jan. 21, the Russian Foreign Ministry has said. "On January 21, Foreign Minister of the Russian Federation Sergei Lavrov had a telephone conversation with UN Secretary General Ban Ki-moon, at the Russian side's initiative, to discuss different aspects of the crisis settlement [process] in Ukraine," the ministry said in a report posted on its website on Jan. 22. The sides reiterated the need for "all actions of the international community to obey the UN Security Council's Resolution 2202, which approved the February 12, 2015 Minsk agreements, including the central role of the Contact Group, the OSCE (Organization for Security and Cooperation in Europe) special mission and the 'Normandy Four'," it said. "They also addressed issues concerning the implementation of the UN Security Council's Resolution 2253 on the fight against ISIL [Islamic State terrorist organization outlawed in Russia], the course of preparations for the Syrian government's talks with opposition groups, and individual aspects of the humanitarian situation in the Syrian Arab Republic," it said.